Amazon Aurora Serverless is an on-demand, auto-scaling configuration for Aurora (MySQL-compatible edition) where the database will automatically start up, shut down, and scale up or down capacity based on your application's needs. It enables you to run your database in the cloud without managing any database instances. Aurora Serverless is a simple, cost-effective option for infrequent, intermittent, or unpredictable workloads. We'll explore these use cases, take a look under the hood, and delve into the future of serverless databases. We'll also hear a case study from a customer building new functionality on top of Aurora Serverless. Anoop is currently a Senior Engineering Leader within Amazon Web Services working on Amazon RDS. His main area of focus is leading teams to development and launch of new serverless technologies such as Aurora Serverless. 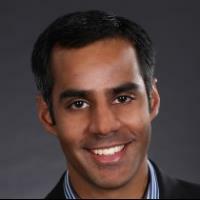 Anoop joined Amazon in 2015 developing a new experimentation and production platform for Amazon Retail including areas as diverse as Data Distribution, Forecasting Portal, Data Acquisition, Data Lake, Data Access, Data Transformation, Orchestration, and Compute. Prior to working at Amazon, Anoop worked at Microsoft for 14 years. He ended his time at Microsoft running teams in Microsoft Research in the Systems and Networking Group.